Reflections on Deeper Things: Chubby Cherubs? They are an army, you know. Or perhaps you didn’t know. Perhaps you thought they were just sweet chubby cherubs. Or a group of soft-voiced warblers of some unearthly choir that like to wile away their time, singing. Or kindly helpers to us humans that beckon from a 4th dimension. Do you know what angels are? Do you know more than the imaginary stories of movies and TV? 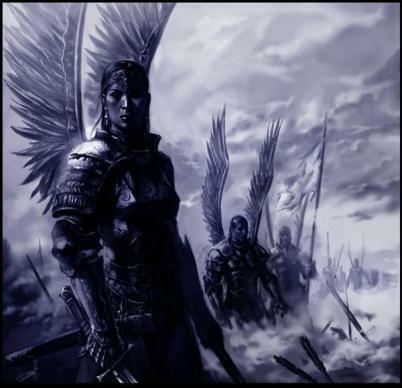 They are the warring, fearless, deeply devoted armies of heaven. They are lovers of God’s Son, Christ, and obey Him alone. Men like to talk of them, but hate to speak about the One they serve. But the name of Jesus is always on their lips. Courageous. Honorable. Terrifying. Beautiful. All and more. Chubby Cherubs? . . . hardly.